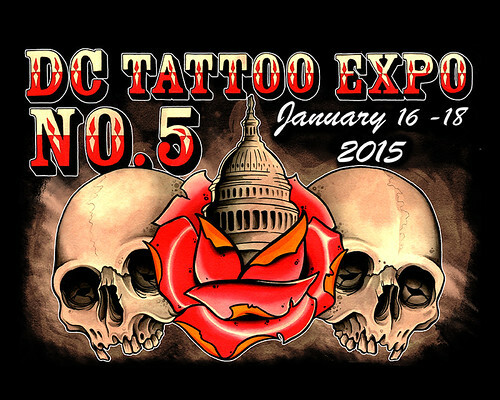 This Friday, January 16th through Sunday, January 18th, the 5th annual DC Tattoo Expo will be going on at the Crystal Gateway Marriott in the Crystal City area of Arlington, Virginia. I went last year and had a great time and so I’d like to give you the chance to go to so we’re giving away a free pair of single day passes to the DC Tattoo Expo to one of you lucky readers! To enter: just tell me which day you’d like to attend, Friday, Saturday or Sunday, and on Thursday, January 15th at 4pm I’ll pick one valid entry at random (using Random.org) to get the pair of tickets to go on the day they selected. Be sure to use a valid email you check regularly so I can contact you if you win. Don’t worry, I won’t add you to any spam lists or sell your info or anything sleazy like that. If I haven’t heard back from the winner in 24 hours another winner will be chosen at random. Since the event is so close, please don’t enter if you cannot actually attend. If you don’t win you can still go, ticket prices are $25 per person each day or $55 for 3 days. Under 12 gets in free with a paying adult and there’s a military discount as well. So what exactly is there to do at a tattoo expo? Well for starters if you’ve been thinking about getting some new ink it’s a great place to browse the hundreds of artists there (see the full list here), many of whom will tattoo you right there at the expo. There are many tattoo artists from all over the country that will be there, including several from the reality shows Best Ink and Ink Master, as well as other famous tattoo artists. In addition there will also be dozens of artists from around the DMV area so if you’re looking for a new tattoo artist to get some serious work done with, this is a great chance to discover them without driving around to a dozen shops. Chris Saint Clark of Nashville put an awesome Cthulhu tattoo on my leg there last year (see it here) and he’ll be there this year again too, and there’s tons of other great artists as well! There will also be tattoo contests for many categories including a worst tattoo contest where the winner will get a free cover up! And there’s also the Miss DC Pin-Up Contest which is open to all women and will have a $500 cash prize for 1st place! So if you’ve never been to a tattoo convention before, or you have but would like to get in free this time, just let me know which day you’d like to go in the comments below! I’d like to go to the tattoo expo this Saturday! Thanks. I’d like to go Saturday! I went to Baltimore two years ago and saw some pretty good art. 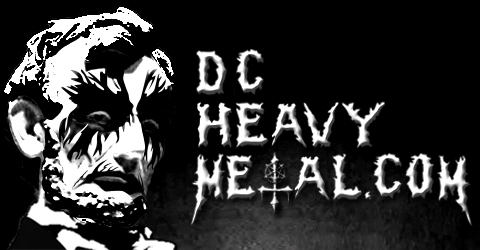 Saturday… Good luck all… Thanks!!!! If all the artists are there on Sunday, I would love that! If not, Saturday it is, since I have to work on Friday. Would love to go on Saturday! !! Thanks! !! I’d love to go Saturday please!! I’d love to attend on Saturday! I’d like to go saturday! I would love to go on Saturday. My husband and I are both looking for artists to do our next tattoos, and this seems like the best opportunity to do it. Saturday! So I can get new ink! I’d love to go Saturday! I’d love to go on Saturday, please! I’d love to win! I’m going on saturday regardless. I asked around and couldn’t find any friends interested in attending w/me. If I get a free tix all the better. thanks! My boyfriend and I just found out about the expo and are planning to go on Sunday when we’re off work. Sunday Funday! :) We might get into some trouble and spontaneously get inked by one of the many artists. This will be our first tattoo convention. I’d like to go Sunday. I’m gonna go anyway, but free is nice!